On May 5, Justin hosted a trail cleanup from 9-12 AM to give the star scouts an opportunity to complete their conservation hours. 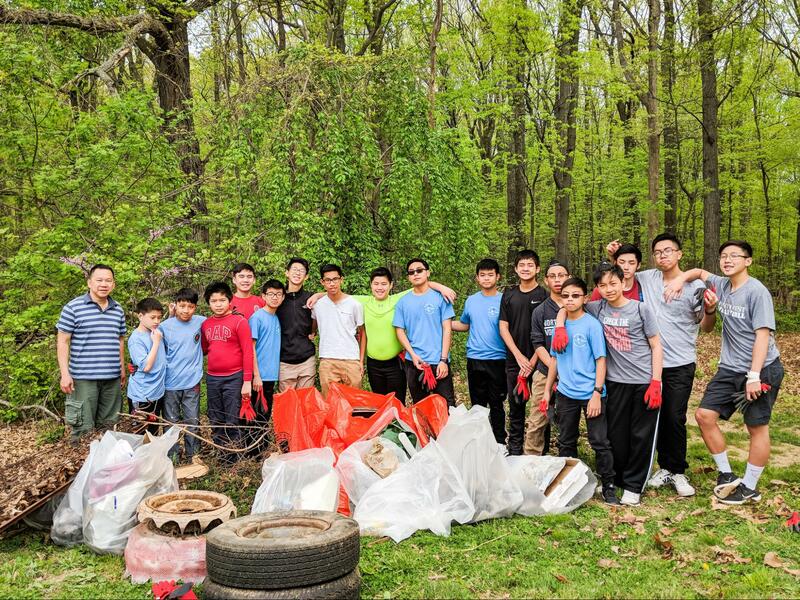 The scouts cleaned up the trash on the west side of the Sopers Branch Trail, by the Little Bennett Day Area Parking Lot off of 355. Everybody had fun, while also cleaning up the environment. It was always interesting to find what people tended to litter; such as tires, fences, vases, and bones?, as well as the normal trash. At the end, all of the scouts came home to 3 SSL Hours and a well deserved shower.